Oh, cool...and right up on the furniture where he knows he belongs. Fran is it a pillow it looks 3D i really like it. I love that big smile. I am really not sure what it is? It looks flat to me, I'm not seeing any 3D effect. But it looks like a nice photo of Archie. awww Archie wanted to make sure he always has the good seat, very nice. very cool! i got a chocolate lab doorstop made of fabric that looks similar. That's funny and really cute. Reminds me of a signature photo someone (Aday) had that said, "Sit here, Momma" only it was her dogs, not pillows. So DH's is saying, "Sit here, Daddy!" 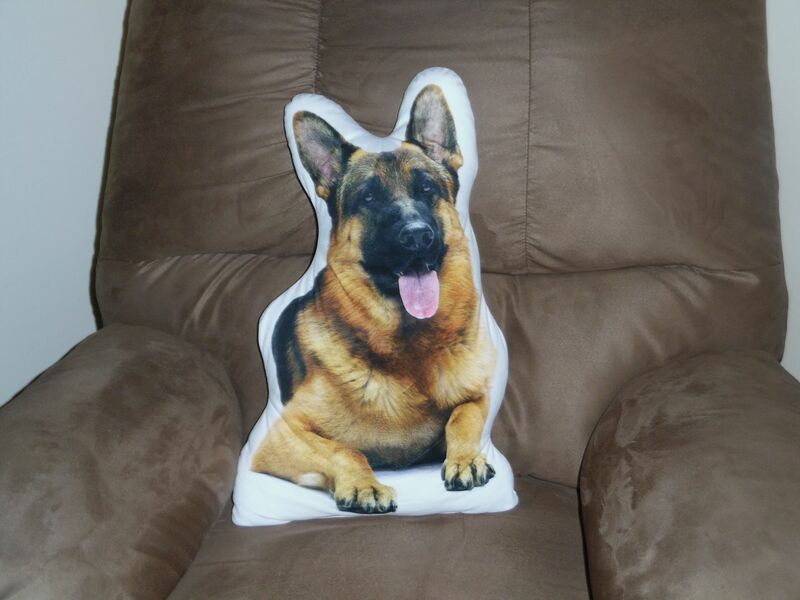 That's very cute- is it an actual photo of Archie made into a pillow?